Did you find yourself successfully invested in real estate, but stuck with a retirement portfolio consisted of only stocks and bonds? Are you tired of having someone else guarding your retirement future, and needing their approval for every move you make? 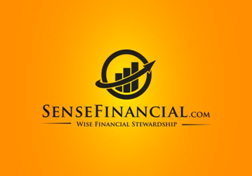 At Sense Financial, we believe that everyone should be able to take control of their retirement future, and invest their money in assets of their choice. Our Solo 401k and Self Directed IRA allow investor to do just that. Contact us to find out how you can invest your retirement account in real estate, trust deeds, notes, tax liens, private business, and more. Self directed accounts are also set up with checkbook control, so you can invest without consulting a custodian. Sense Financial is California's leading provider of retirement accounts with "Checkbook Control": the Solo 401k and the Checkbook IRA. Over the years, we have assisted hundreds of clients obtain checkbook control over their retirement accounts while providing them with the ability to invest in virtually any investment class, including real estate, private lending, mortgage notes and much more without the need for custodian approval. To learn more information about Solo 401(k) or Self Directed IRA, please fill out the contact form bellow. As a member of Sam’s RE Club you are entitled to a free consultation with retirement account expert and discounted price on the establishment of your retirement account.